These included his famous telescope, but also a series of devices that would have a profound impact on surveying, the use of artillery, the development of clocks, and meteorology. Galileo created many of these in order to earn extra money to support his family. But ultimately, they would help cement his reputation as the man who challenged centuries worth of previously-held notions and revolutionized the sciences. Inspired by the story of Archimedes’ and his “Eureka” moment, Galileo began looking into how jewelers weighed precious metals in air, and then by displacement, to determine their specific gravity. In 1586, at the age of 22, he theorized of a better method, which he described in a treatise entitled La Bilancetta (or “The Little Balance”). 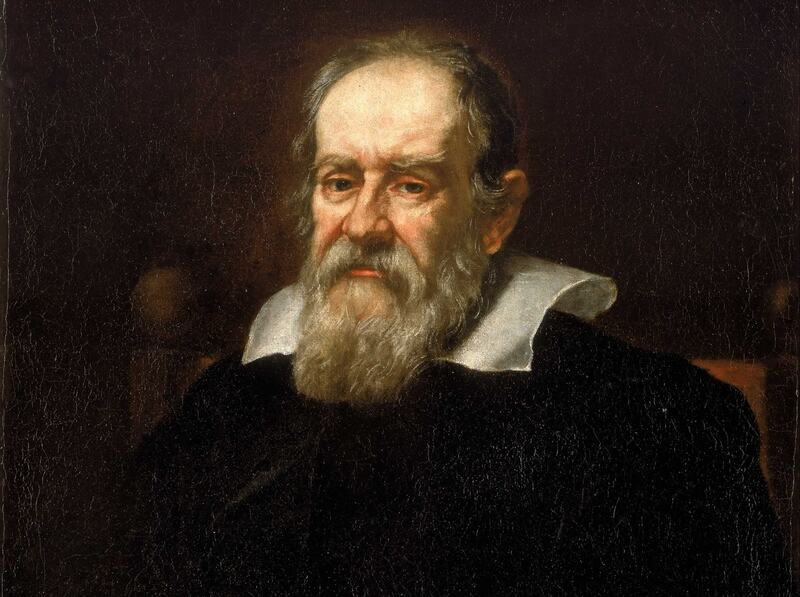 In 1592, Galileo was appointed professor of mathematics at the University of Padua and made frequent trips to the Arsenal – the inner harbor where Venetian ships were fitted out. The Arsenal had been a place of practical invention and innovation for centuries, and Galileo used the opportunity to study mechanical devices in detail. In 1593, he was consulted on the placement of oars in galleys and submitted a report in which he treated the oar as a lever and correctly made the water the fulcrum. A year later the Venetian Senate awarded him a patent for a device for raising water that relied on a single horse for operation. This became the basis of modern pumps. To some, Galileo’s Pump was a merely an improvement on the Archimedes Screw, which was first developed in the third century BCE and patented in the Venetian Republic in 1567. However, there is apparent evidence connecting Galileo’s invention to Archimedes earlier and less sophisticated design. During the 16th century, Aristotelian physics was still the predominant way of explaining the behavior of bodies near the Earth. For example, it was believed that heavy bodies sought their natural place or rest – i.e at the center of things. As a result, no means existed to explain the behavior of pendulums, where a heavy body suspended from a rope would swing back and forth and not seek rest in the middle. Spring driven pendulum clock, designed by Huygens, built by instrument maker Salomon Coster (1657), and copy of the Horologium Oscillatorium, Museum Boerhaave, Leiden. The cannon, which was first introduced to Europe in 1325, had become a mainstay of war by Galileo’s time. Having become more sophisticated and mobile, gunners needed instrumentation to help them coordinate and calculate their fire. As such, between 1595 and 1598, Galileo devised and improved a geometric and military compass for use by gunners and surveyors. Existing gunner’s compasses relied on two arms at right angles and a circular scale with a plumb line to determine elevations. Meanwhile, mathematical compasses, or dividers, developed during this time were designed with various useful scales on their legs. Galileo combined the uses of both instruments, designing a compass or sector that had many useful scales engraved on its legs that could be used for a variety of purposes. In addition to offering a new and safer way for gunners to elevate their cannons accurately, it also offered a quicker way of computing the amount of gunpowder needed based on the size and material of the cannonball. As a geometric instrument, it enabled the construction of any regular polygon, computation of the area of any polygon or circular sector, and a variety of other calculations. During the late 16th century, there existed no practical means for scientists to measure heat and temperature. Attempts to rectify this within the Venetian intelligentsia resulted in the thermoscope, an instrument that built on the idea of the expansion of air due to the presence of heat. In ca. 1593, Galileo constructed his own version of a thermoscope that relied on the expansion and contraction of air in a bulb to move water in an attached tube. Over time, he and his colleagues worked to develop a numerical scale that would measure the heat based on the expansion of the water inside the tube. And while it would take another century before scientists – such as Daniel G. Fahrenheit and Anders Celsius – began developing universal temperature scales that could be used in such instrument, Galileo’s thermoscope was a major breakthrough. In addition to being able to measure heat in air, it also provided quantitative meteorological information for the first time ever. While Galileo did not invent the telescope, he greatly improved upon them. Over the course of many months during 1609, he unveiled multiple telescope designs that would collectively come to be known as Galilean Telescopes. The first, which he constructed between June and July of 1609, was a three-powered spyglass, which he replaced by August with an eight-powered instrument that he presented to the Venetian Senate. By the following October or November, he managed to improve upon this with the creation a twenty-powered telescope – the very telescope that he used to observe the Moon, discover the four satellites of Jupiter (thereafter known as the Galilean Moons), discern the phases of Venus, and resolve nebular patches into stars. These discoveries helped Galileo to advance the Copernican Model, which essentially stated that the Sun (and not the Earth) was the center of the universe (aka. heliocentrism). He would go on to refine his designs further, eventually creating a telescope that could magnify objects by a factor of 30. Though these telescopes were humble by modern standards, they were a vast improvement over the models that existed during Galileo’s time. The fact that he managed to construct them all himself is yet another reason why they are considered his most impressive inventions. Because of the instruments he created and the discoveries they helped make, Galileo is rightly recognized as one of the most important figures of the Scientific Revolution. His many theoretical contributions to the fields of mathematics, engineering and physics also challenged Aristotelian theories that had been accepted for centuries. In short, he was one of just a few people who – through their tireless pursuit of scientific truth – forever changed our understanding of the universe and the fundamental laws that govern it. Universe Today has articles on Galileo’s telescope and scientists want to exhume Galileo’s body. For more information, check out the Galileo Project and Galileo the telescope and the Laws of Dynamics. Astronomy Cast has an episode on choosing and using a telescope and how to build your own.